The first time I travelled to Italy I was overwhelmed with a feeling that I had been there before. I am not unique. Alexandrians who walk down the streets of the Italian cities are overpowered with unexplained feelings of déja vus with the buildings, as if they had been transcended in time and space and roamed these streets in another life. The travellers are left in confusion, but they are not delusional. Alexandrians traveling to Italy had in fact seen these architectural styles, without setting foot outside their homeland. The city of Alexandria was not just built by Italians, some buildings are even identical to the Italian ones. Alexandria, was founded by Alexander the Great in 331 BC, and it became Egypt’s capital for a thousand years until it fell into the hands of the Arabs in 664 AD. Cleopatra ruled from it and Napoleon lost his fleet in front of its shores. Alexandria, the pearl of the Mediterranean, housed the lighthouse of Pharos, one of the seventh wonders of the world, and the library of Alexandria, the cultural beacon of the ancient world. On its sandy shores, the fiery romance between Cleopatra and Mark Anthony flamed, and the course of history was changed with the dramatic death of the two lovers. The city was bombarded and destroyed by the British naval fleet in 1882, to put down Ahmed Orabi’s nationalist movement. Under its clear skies and along its Corniche (waterfront), writers like E.M. Forster and Lawrence Durrell and the famous Greek poet Constantine Cavafy lived. 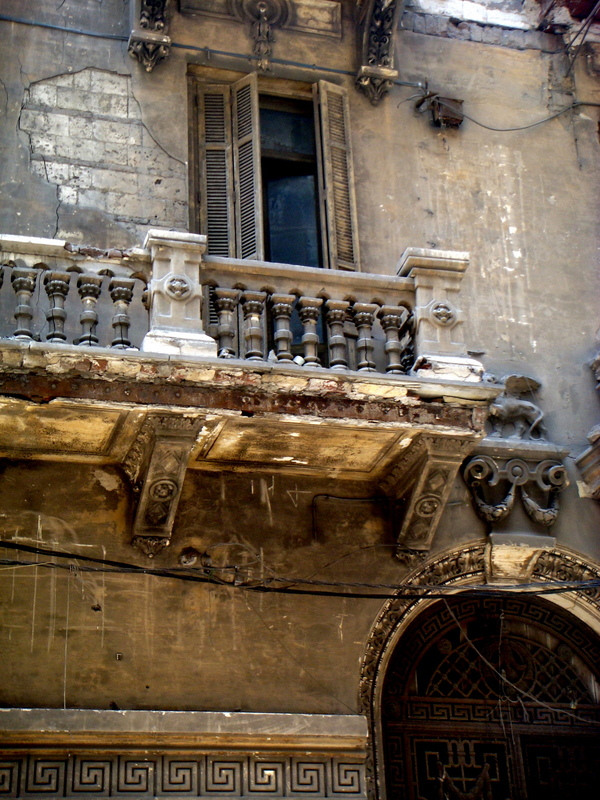 Over the centuries immigrants from Europe, Armenia, and the Levant settled in Alexandria, blended into the fabric of the society and created a cosmopolitan hub with a diverse and unique culture. In 1805, Mohamed Ali Pasha recogniszed the importance of Alexandria and its growing economic potential and made it his summer capital. With an open vision for the future of the city, he initiated a development programme that included its rebuilding and restoration. With the fall of Napoleon in Europe, those who were involved with the government of the Napoleonic republics and the first kingdom of Italy were sent to exile. Muhammad Ali offered political asylum to Italian political emigrants. A great number of Italian engineers, architects, building contractors and specialiszed workers settled in Egypt. The new settlers came from various Italian provinces and their designs were eclectic. In the beginning, they followed the same building codes of the places they came from, but eventually, and since no restrictions were implemented on their creativity, they became more adventurous with their building styles. By the late nineteenth century, Alexandria became the fourth important Mediterranean port after Genoa, Marseilles and Istanbul. And with the cotton trading soaring, it was slowly leaving the Ottoman commonwealth and engaging itself with Europe. With the growth of the city, the Italian influence dominated its identity. 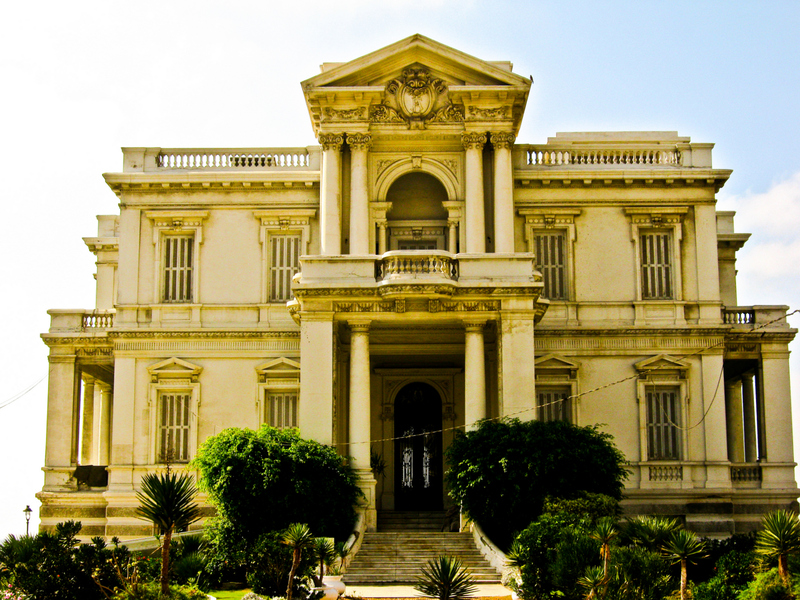 The council members of the Municipality of Alexandria that was created at the end of the nineteenth century included elite members of the Italian community – among them prominent engineers and architects. Not only did public projects come under their supervision, their influence expanded to private residences as well. 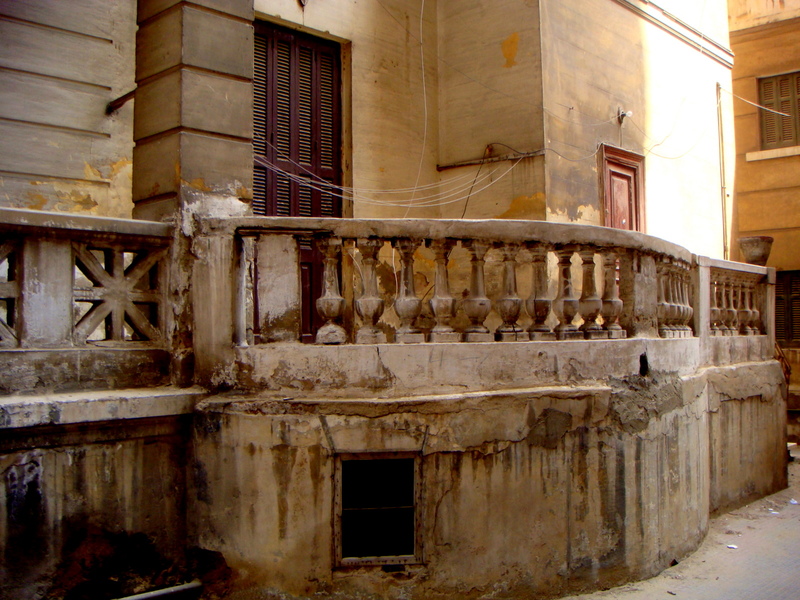 The elegance of the designs transformed Alexandria to a city with no less beauty than any Italian one. The European influence that dominated the cosmopolitan city was interrupted by the coup d’état of 1952 and eventually came to a total halt in the generations that followed. As a consequence of Nasser’s doctrine that aimed at returning Egypt to the Arab sphere, and his obsession to wipe out the influence of the monarchy, street names were changed to revolutionary names. This was followed by the nationalisation and sequestration of properties from non-Egyptian and Egyptian elites alike. This nationalisation, that, in reality, stole properties from its owners, resulted in a mass exodus of non-Egyptians and Egyptian Jews in the sixties, which changed the milieu of the city and ended 150 years of Alexandrian cosmopolitanism. The seized mansions were transformed into schools, community buildings and government offices. And with the lack of maintenance, over the years these architectural landmarks suffered from negligence, misuse, and arbitrary additions and remodelling that didn’t respect the initial designs. To make matters worse, the socialist era of Nasser was dominated by a fascination with the austere Soviet building experience. The architectural extravagance and glamour was replaced with tall shapeless buildings that resembled building blocks made of concrete. But worse than the total absence of any architectural style in new construction, the government’s decision to freeze rent would be the fatal blow to the existing buildings of an already wounded city. With the devaluation of their investments and dismal rental revenues, property owners were discouraged from maintaining their properties. Moreover, developers stayed away from investing in rental properties. The increase in population, together with the migration from the surrounding villages looking for a better life in the big city, created a housing disaster. Buildings throughout Alexandria that once had marked the glamour of the passed era were demolished and replaced by the eyesore highrise apartment buildings that lacked any architectural beauty. 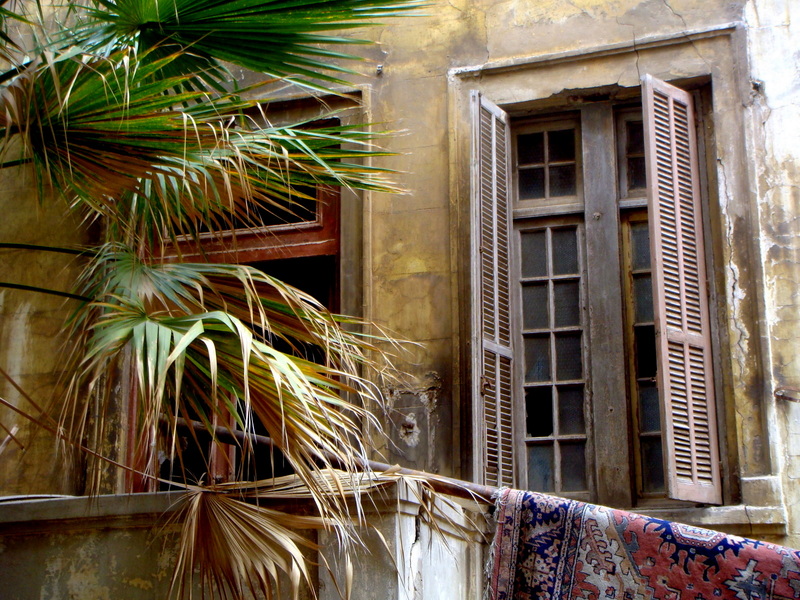 In his book, “The Alexandria Quartet”, Lawrence Durrell described Alexandria as, ‘a city of kaleidoscopic passion, aching beauty and elusive but persistent ghosts.’ Durrell indeed had a vision of the city’s future. Today when I walk down the streets of Alexandria, I am no longer walking in my birth city, but in a place that is alien to me, one I do not recognise. It is haunted by the ghosts of the life it had once witnessed. 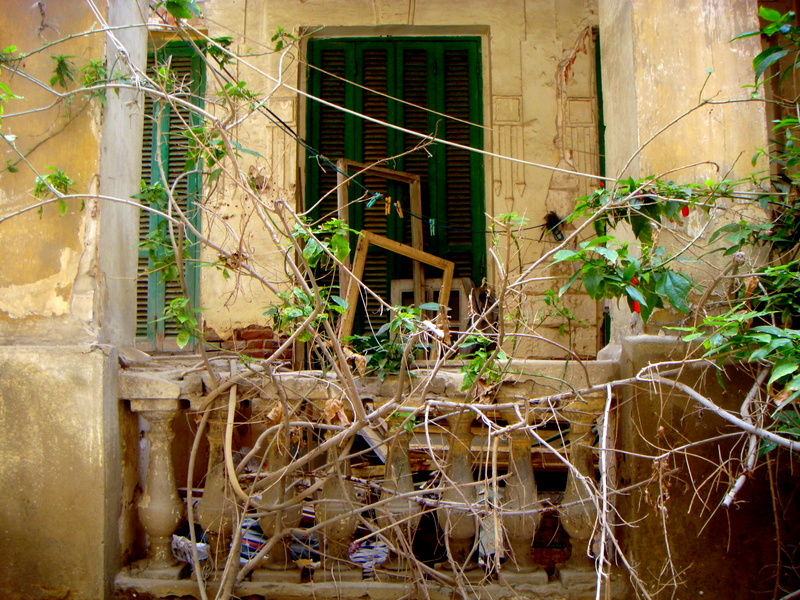 The architectural glamour that had created the character of Alexandria has long been destroyed and replaced by ugly, tall, and crowded buildings. The ailing ones are waiting for their predestined fate. 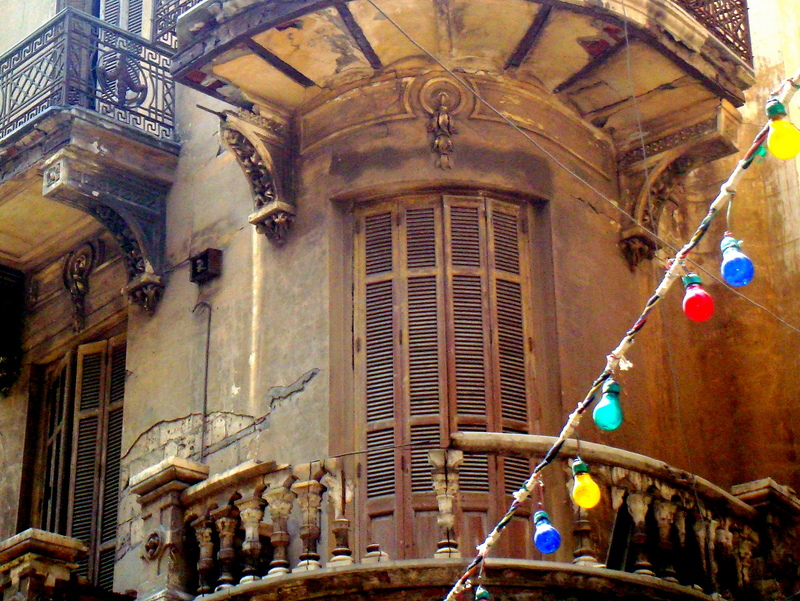 The splendour of Alexandria has long faded. 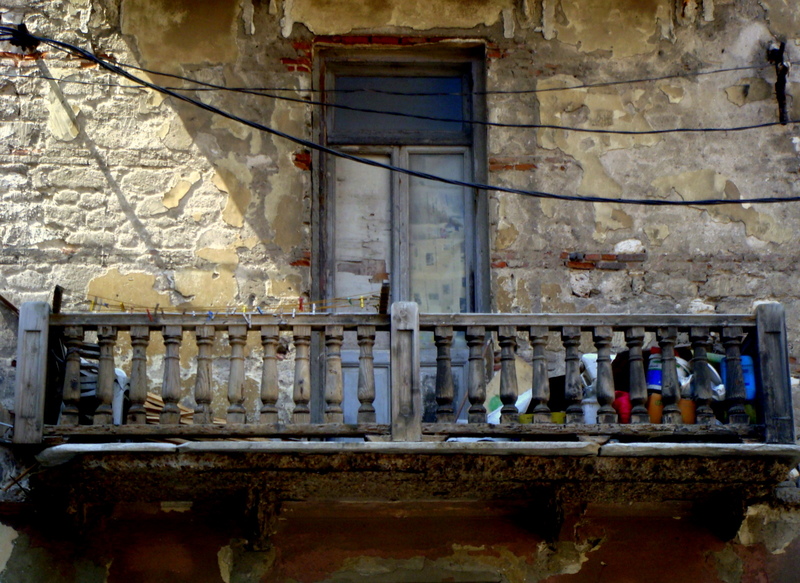 Old buildings are no less important than historic monuments. They are part of our culture and art. They are part of who we are. Demolishing them and neglecting them to ruin, should be a punishable crime. Unfortunately, when the values of the land on which the ailing buildings stand are high, laws to protect them are never enforced. With the rate that the landmarks are being demolished, I fear that within a few years I will need a map to find my way around Alexandria, and the city I had once known like the back of my hand will only exist in my memory. Article was published in the fall issue of Kalimat Magazine. Alexandra,it’s really a great touching article & shows how a person can lives inside his beloved memories & never let it go because it’s a part of him . Well analyzed & written, the events’s squence,& ofcours the chosen pics by Alexandra Kinias. Well researched, I loved the historical background. 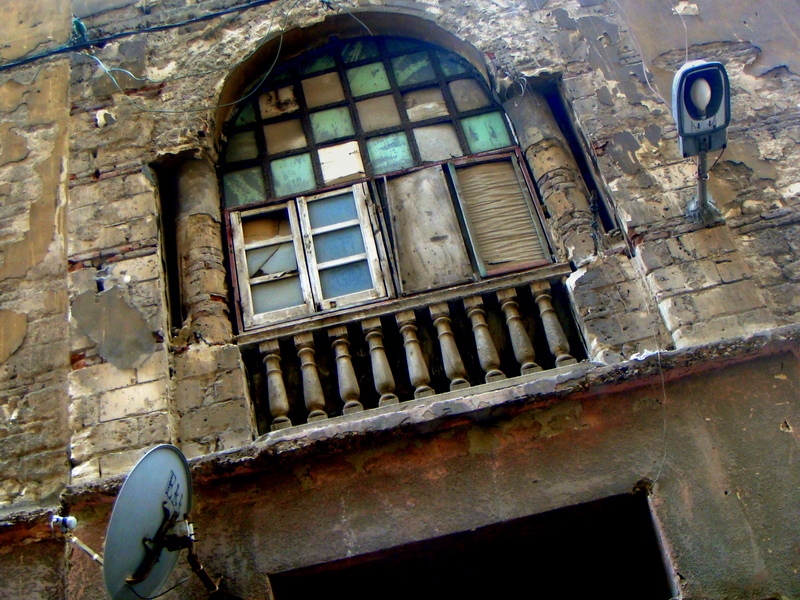 It is true even in areas that are not ruled by dictators that a city’s identity is stripped one building at a time. I think that you will find people in all parts of the world who experience the same sadness and sense of helplessness when their home town is razed in favor of Walmart, fast food restaurants, and strip malls. Greed and lust for power are universal. It doesn’t matter what religion or political affiliation you are, the outcome is the same. Thank you for your bitter sweet thought provoking story. This should be compulsory reading for anyone visiting Alexandria for the first time…wish I had. Must go back!! It is so sad what happened to this once beautiful city. I no longer recognize it.